If you are visiting Mallorca (Majorca), water parks are surprisingly plentiful considering the size of the island. 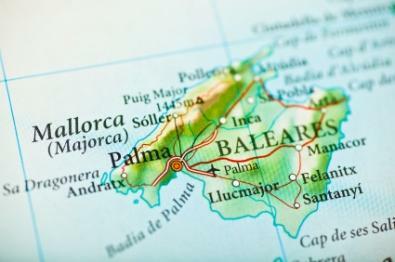 Mallorca, or Majorca in Catalan, is the largest island of Spain. It is located off the eastern coast of Spain in the Mediterranean Sea and is considered a top vacation destination for many Europeans. While you are in Mallorca, it is not worth your time or effort, to go to each individual water park. While they are each unique, there are many other theme parks and exciting experiences to be had in Mallorca. Instead of park hopping, choose a water park based on where you are staying and the ages of your group. If you are staying in Palma, you can take a bus from the center of the city to El Arenal to visit Aqualand. However, if you are staying in Magaluf, just take advantage of the two water parks that are already there - there is no need to trek over to the other side of the island. Alcúdia has its own water park, and while it is smaller, it does provide some swimming fun that does not involve getting sand in your swimming suit. There are two Aqualand parks in Mallorca. One is located in El Arenal and the other is located in Magaluf. Aqualand El Arenal has the distinction of being the largest water park in Europe. Visitors to either park will find a combination of family friendly slides suitable for younger ages, a few wading pools and a lazy river, as well as thrilling slides that teens and adults will love. The Aqualand in Magaluf still has many of its original slides and includes a few more rides for teens and adults than does the Aqualand in El Arenal. Located in Puerto de Alcúdia, Hidropark is smaller than some of its peers are, but it has an extra long season from the beginning of May all the way until the end of October. Hidropark offers several slides and five different pools. It is also right on the coast making a beachfront getaway combined with a day at a water park an ideal family activity. When you are tired of swimming, you can go next door to the 54-hole mini-golf course. You might be surprised to find an old western themed water park in the middle of the Mediterranean Sea, but that is exactly what you will find at Western Water Park. The park features several thrill rides as well as a few different types of pools for the youngest in your group, a giant Jacuzzi, and a wave pool. Western Water Park also boasts the highest water slide in Mallorca. In addition, visitors will find a variety of shows to keep everyone entertained throughout the day. Preparing for your day will help make sure things go smoothly. A day at a Mallorca (Majorca) water park is not as expensive as it is in the United States. You will pay anywhere from about $10 for the youngest in your group to typically $31 for adults. Prices vary by season, so you should make sure and check with your hotel concierge before going. Also, make sure that you have sufficient Euros on your for the day, you are not likely to find an ATM easily. Another thing that is different about water parks in Mallorca is that you may be allowed to bring in your own food and drink. However, you can expect to find concessions at the water parks as well with offerings that seem surprisingly American. Spending the day at a water park during your stay in Mallorca can offer fun and thrills for the whole family.